Wemeco is modern, dynamically developing company specialised in lot production of steel, aluminium, stainless and acid resistant steel products. Our company’s name is an acronym of Western-European Middle-European CO-operation. This term represents the idea of connecting cost-effective production capacities of suppliers from Eastern Europe with a demand for such services among receivers from Western Europe. 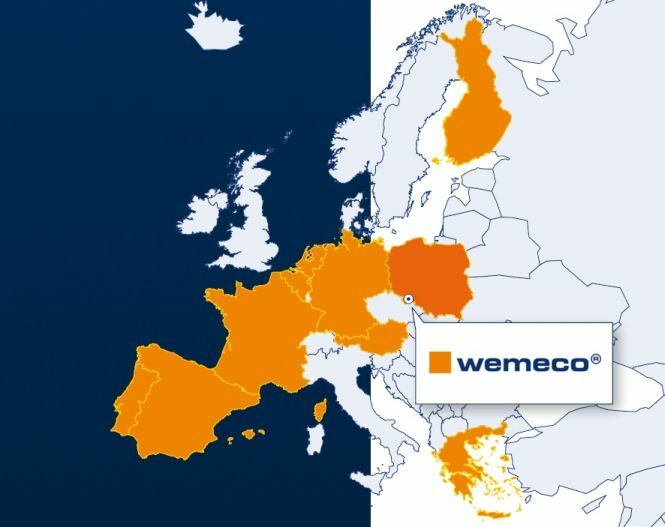 Since the very beginning of our operation until today, Wemeco successfully implements and develops this idea by focusing a group of suppliers executing production projects together for the clients from many countries. Wemeco has its seat in Poland, in Kudowa Zdrój, near Czech Republic border. This location not only opens new possibilities of cooperation with Polish but also with Czech suppliers. This way, except the production capacities and Wemeco experience, our Clients may also make use of know-how and machine park of our suppliers. Within the long-term cooperation, as part of our ”network”, our suppliers proved their reliability many times, which fact allows us creating wide package of services of the highest, proven quality. We deliver our products directly to many European countries. Our key markets are located in Germany, Holland, Belgium, France, Finland and in other countries. Final products of our Clients, in which our constructions are employed, are used around the World, starting from Europe (Denmark, Norway, Great Britain, Russia), through Asia (China), North America (Canada and Mexico) to Australia. Our products are also used on ships, which navigate through all the seas and oceans. We are an encouraged team. Our production employees are real enthusiasts of their work. They put not only their know-how and experience to the work but also their hearts. We take care of continuous development and training of our personnel. As a company, we engage in more and more complex production projects, which fact translates to major progress everyday, as the whole organization.